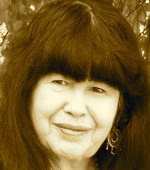 A Year of Being Here: Marge Piercy: "The Art of Blessing the Day"
"The Art of Blessing the Day" by Marge Piercy, from The Art of Blessing the Day: Poems with a Jewish Theme. © Knopf, 1999. Video credit: "Ode to Joy" flash mob in Sabadell, Spain, posted to YouTube by Be Inzpired! on April 2, 2013. Featuring Ludwig Van Beethoven's Ninth Symphony and "Ode to Joy."